Since publishing the first blog entry on heat recovery, we’ve had a lot of interest in how to calculate energy savings for heat recovery systems as well as some examples of savings potential. Hopefully this follow up will help answer some of those questions. Heat recovery can offer significant energy savings when properly applied. 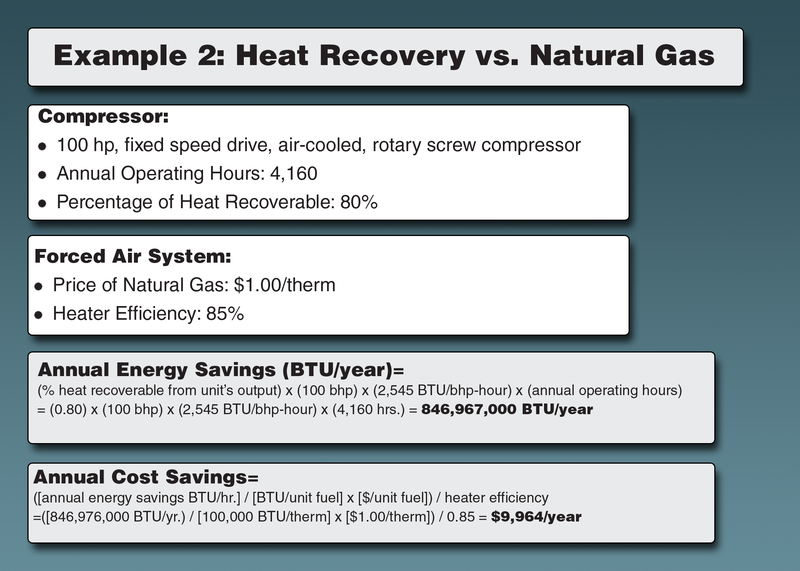 The following two examples illustrate how current energy costs make an investment in heat recovery highly attractive. 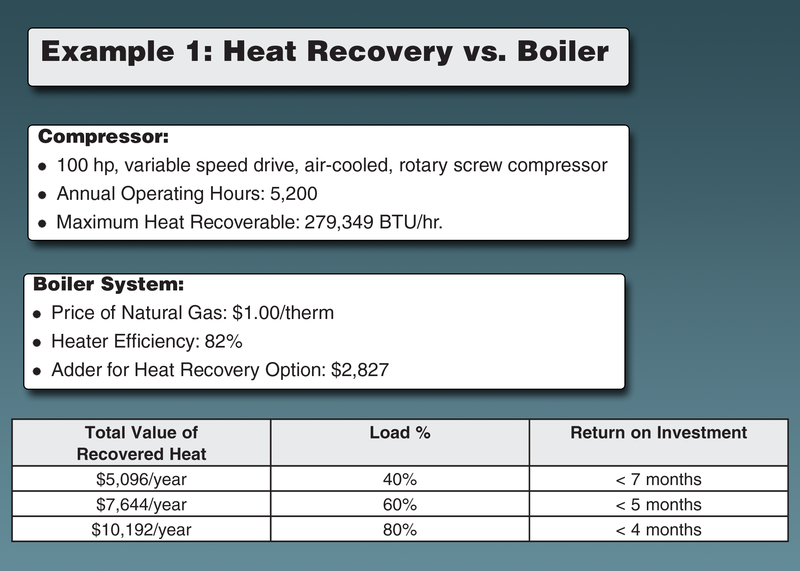 However, when attempting to calculate energy savings and payback periods for heat recovery efforts, it’s important to compare heat recovery with the current source of energy for generating thermal energy, such as relatively lower-cost natural gas. Naturally, higher energy savings will be realized when the alternative heating source is an older, less efficient technology. Investing in newer, more efficient equipment may be more cost effective. Many heaters are now operating at ~85% efficiency or better, and heat recovery activities will result in less relative annual energy savings as a result.